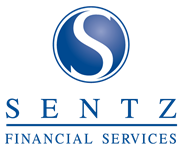 Sentz Financial Services LLC was founded with the goal of assisting our clients in every aspect of their financial lives. We’ve provided the most personal service available, thus earning a reputation for excellence in our industry. For each of our clients we strive to help create financial stability and security to provide financial independence. With over 50 years of experience in the industry, we are constantly increasing our knowledge base in order to stay current on the latest financial news for our clients. We work with attorneys and accountants to help you meet all angles of your financial goals. We present our information to you in an understandable manner and are always available for advice or information, any time and as often as you wish Shawn Sentz was recently named a Columbus 2016 Five Star Wealth Manager for his excellence in the financial services and wealth management field.